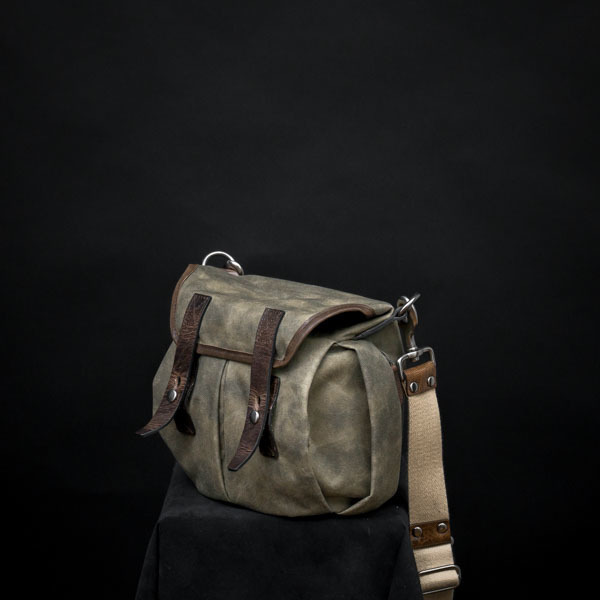 "Nowadays, I no longer want a 'camera bag'. 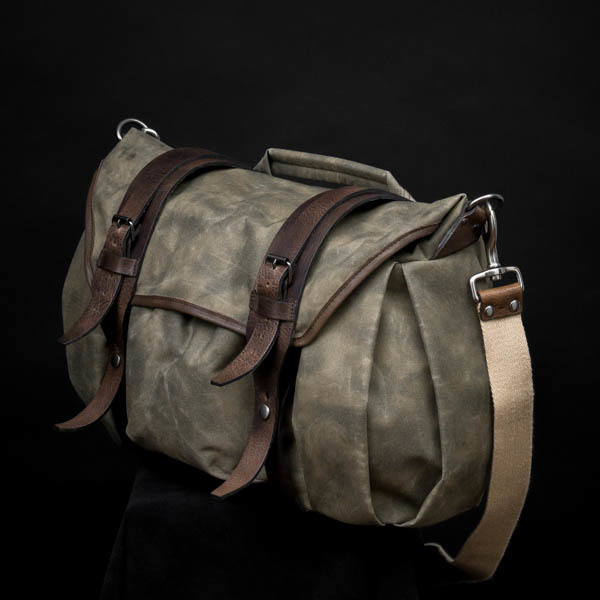 I want a bag that 'fits' into my daily life, accommodating different scenarios, whether it's photography, travel, or work. These words came from a Leica Store manager, who shared his personal thoughts with WOTANCRAFT designer Albert Yuan. 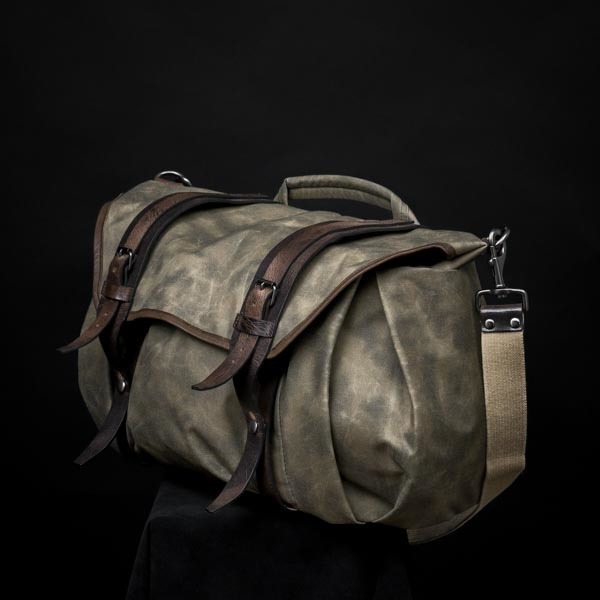 His words echoed with WOTANCRAFT's own philosophy, to create bags that "make sense" in our daily lives. And now, WOTANCRAFT will show you what "Versatility" means to us. "Interior Module". 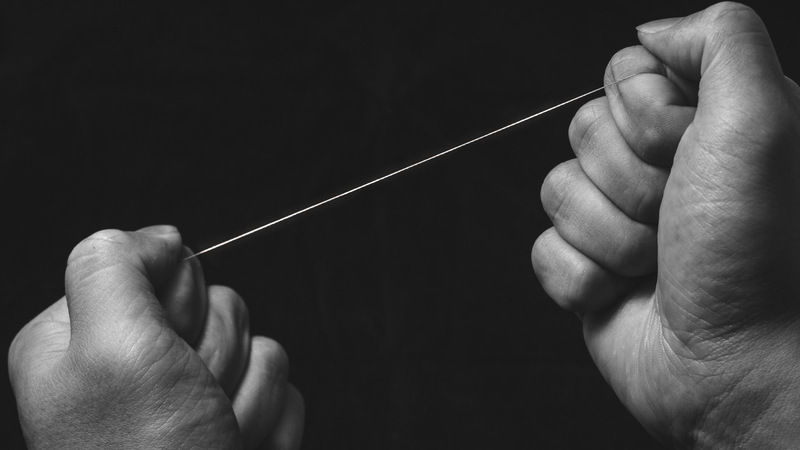 It's such a simple Velcro hook-and-loop application, we wonder why no one fully cultivated the potentials. 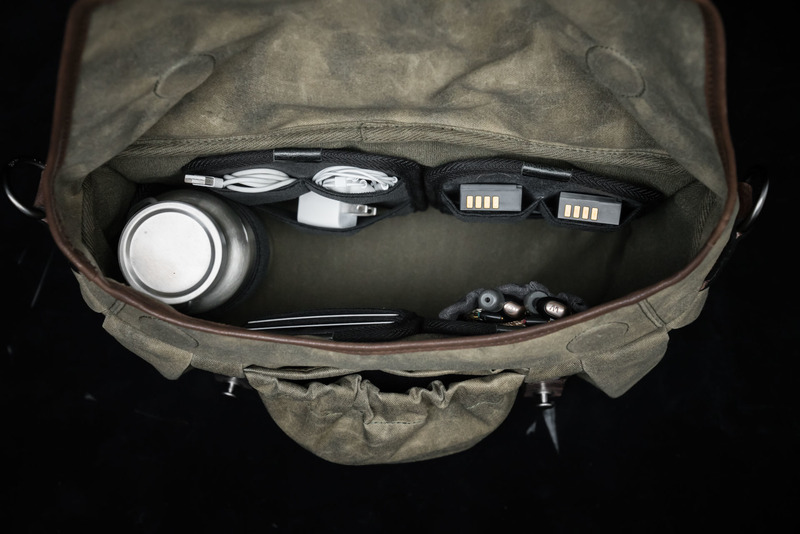 "Modular" concept is derived from military equipments (backpacks & tactical vests), turning sewed-in pockets into independent "module" accessories, so that each person can mount / dismount the right module for the mission at hand. 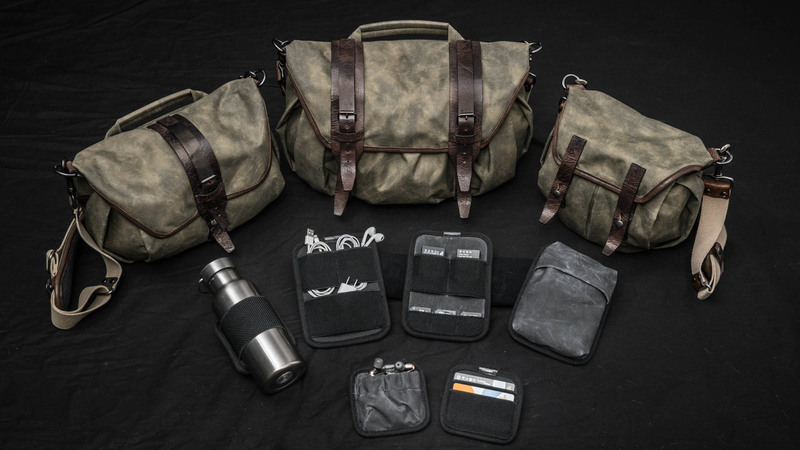 Most modular designs focus on external modules, but WOTANCRAFT feels that "Interior Modules" are less noticeable, hence more suited for folks who don't wish to look "tactical" in their everyday lives. WOTANCRAFT spent over 2 years field testing the "Interior Module" concept, refining it till we know it "works" in the long run. 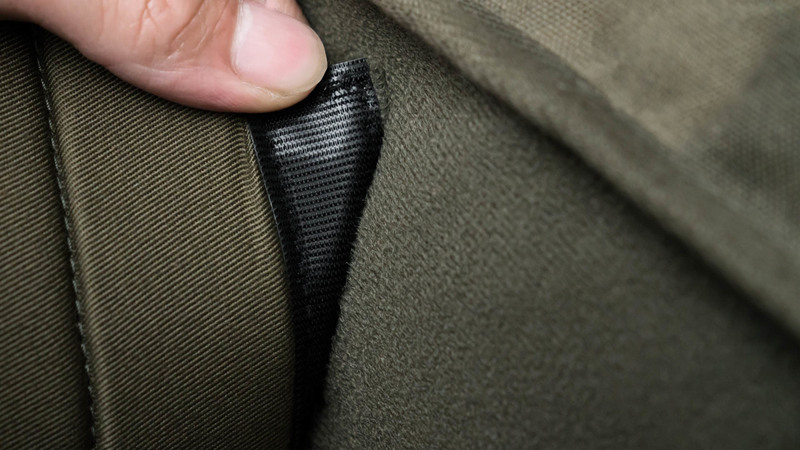 We use medical grade micro-fiber cloth as the Velcro-compatible lining, with enhanced "fiber loop retention". 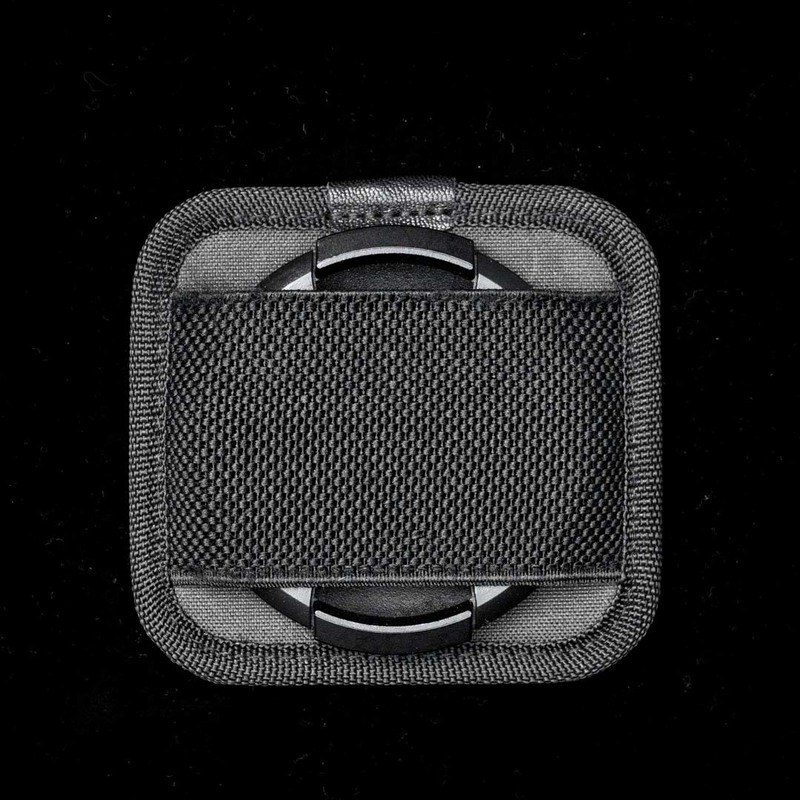 In addition, we've selected "short hook" injection molded Velcro, as opposed to traditional "long hook" Velcro, to minimize tearing. 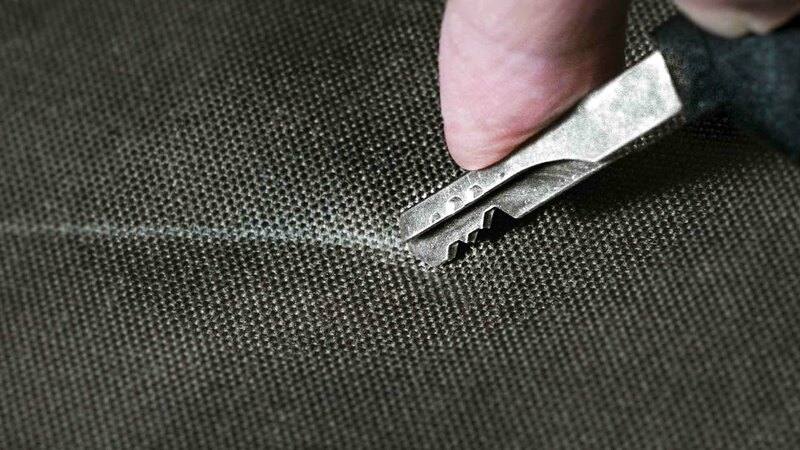 This means when you apply & tear velcro pads, WOTANCRAFT bag lining is less likely to develop frizzy surface, therefore the lining can remain cohesive for longer period of time. See "OPTIONAL COMBO" menu on the top and bottom of this page for a list of modules available. 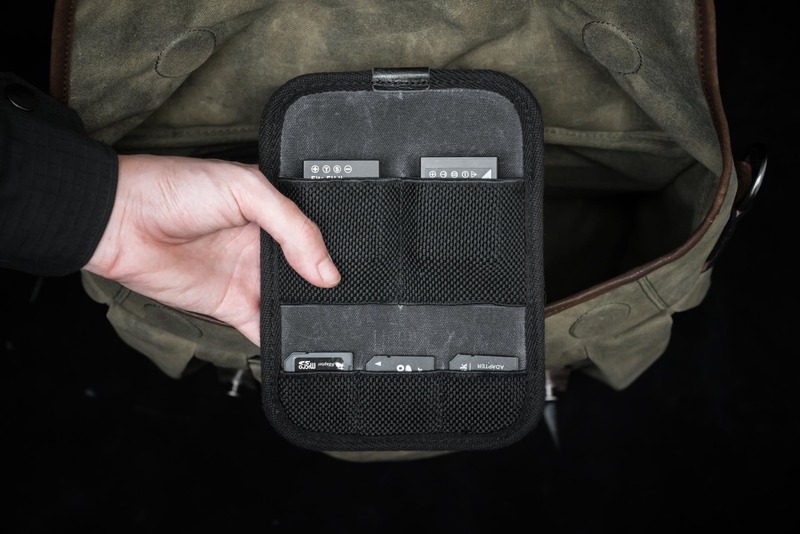 The lineup of WOTANCRAFT module accessories available will start from basic needs such as SD card pockets, battery pockets, pen pockets, utility pouches... towards more specific requirements that stems from your own personal preference. WOTANCRAFT's "Interior Module" system doesn't stop here. Tell us what you are looking for, so we can turn it into reality. 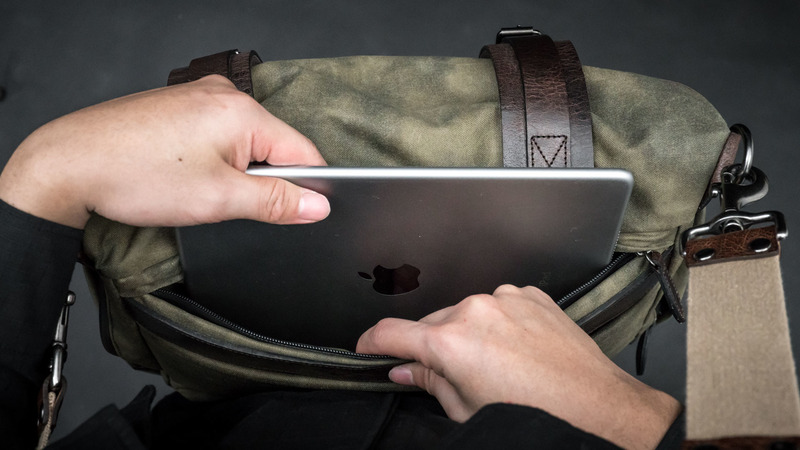 WOTANCRAFT interior module bag comes with a " detachable laptop divider", with protective padding & capable of fitting up to 13 inch laptop. 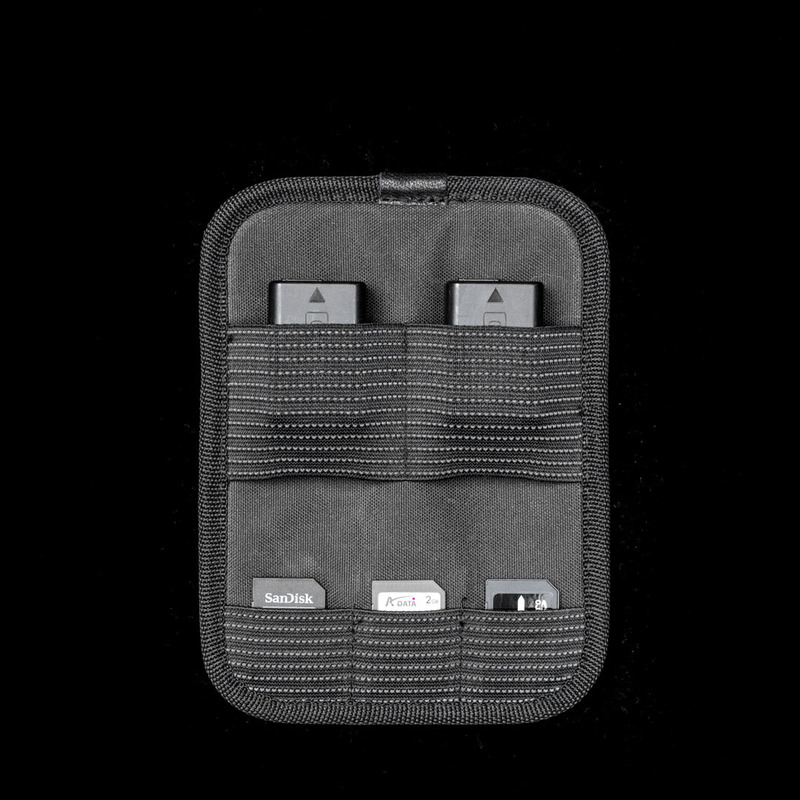 The laptop divider is Velcro-compatible, so you can apply camera dividers & detachable modules (optional accessory) onto its surface. 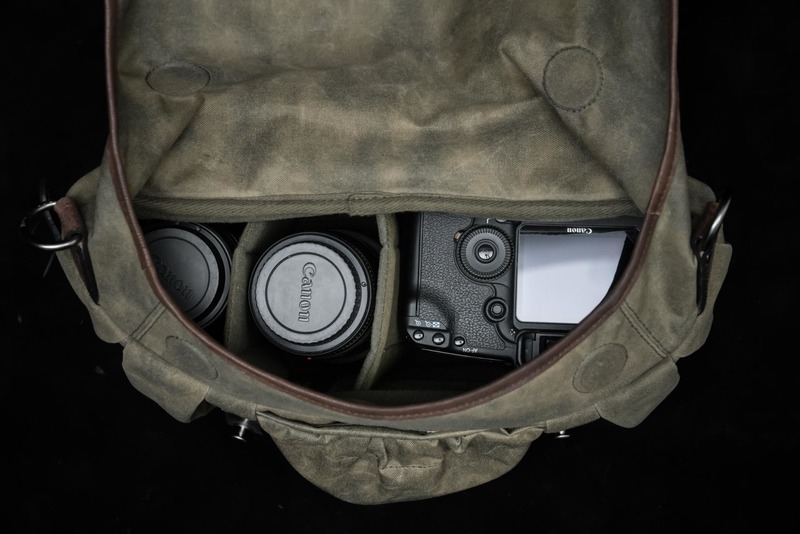 The bag includes a default set of camera & lens dividers, suitable for mirrorless camera system (1 body + 3-4 lenses). 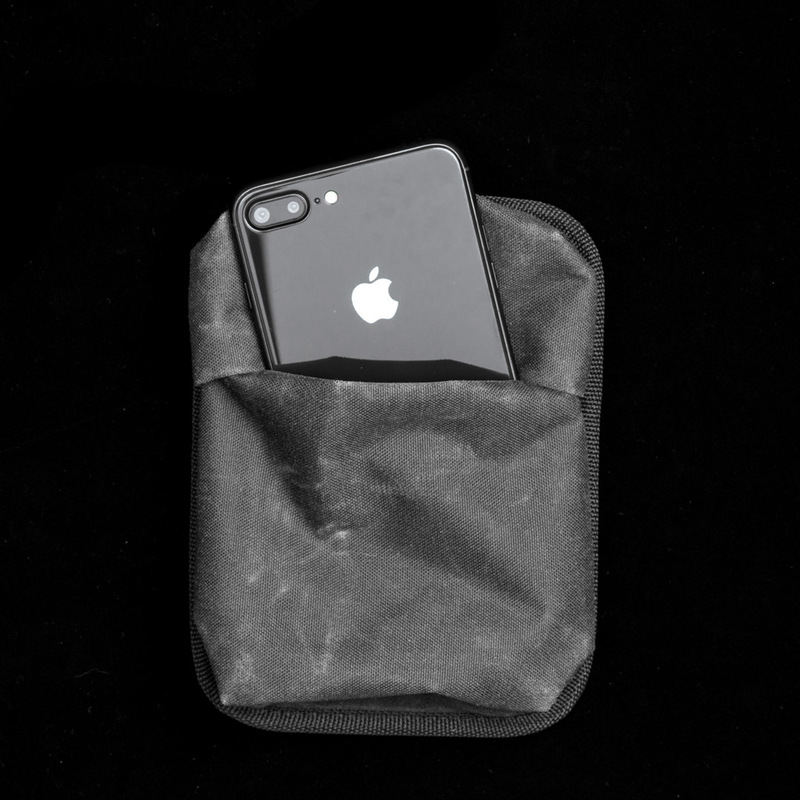 These dividers have symmetric folds, a small detail to make sure that no matter how the bag is compressed, the dividers will remain neatly structured, with shock-resistant padding to safeguard your gear. Furthermore, when you remove the laptop divider, the extended depth allows you to fit full-frame DSLR camera system (1 body + 3 lenses). Pick-pokets are the NO.1 concern people have when travelling abroad. Gererally speaking, they target "conspicuous" and "accessible" looking bags. 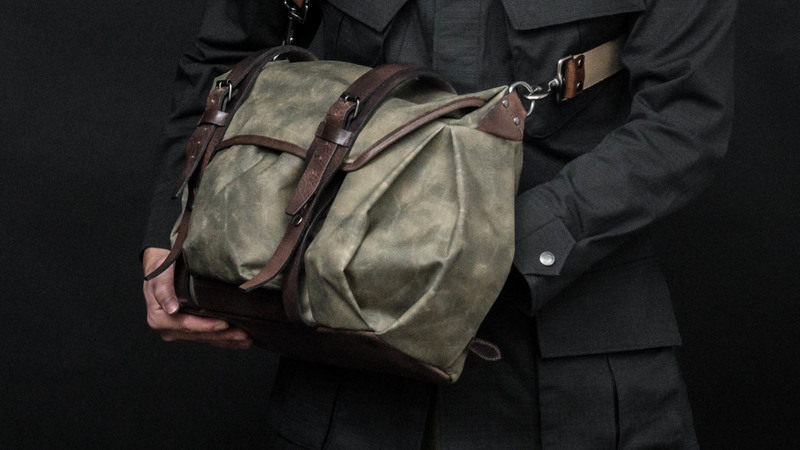 At quick glance, you can't really find an accessible pocket to steal on a TROOPER bag. WOTANCRAFT made sure of that. 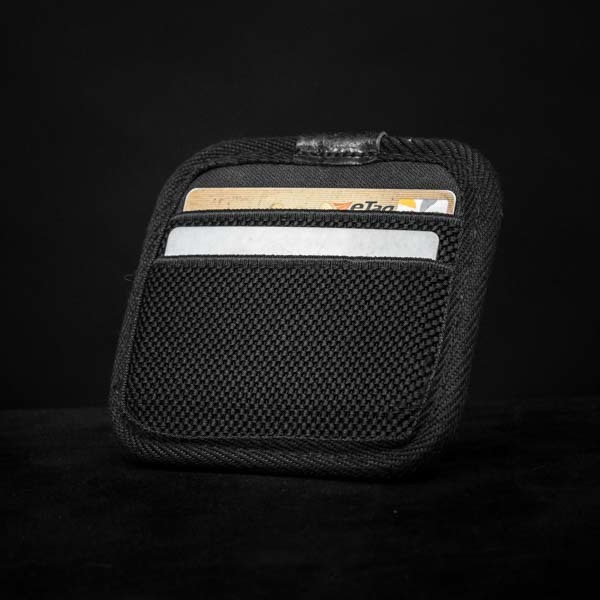 We have prepared layered open-end front pockets for cellphones and wallets, but once the flap is fastened with the stud button, the front pockets are fully hidden. All that remains are the side pockets... but where are they? 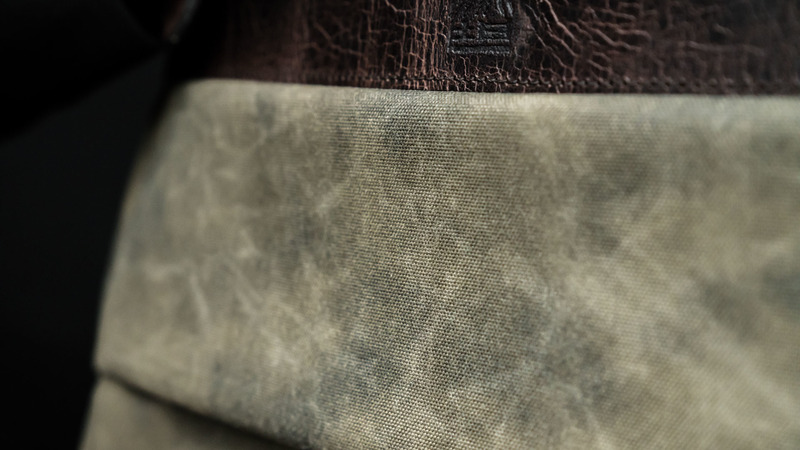 The side pocket zippers are hidden behind cover, accessed from "your" direction only. 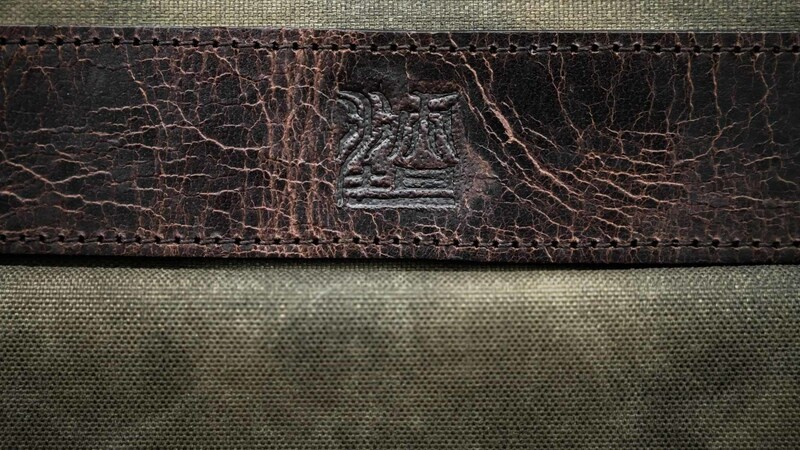 YKK water-repellant zippers are used on the side pockets, the tough seal of the zippers mean that you will definitely "feel it" if anyone is trying to open it. 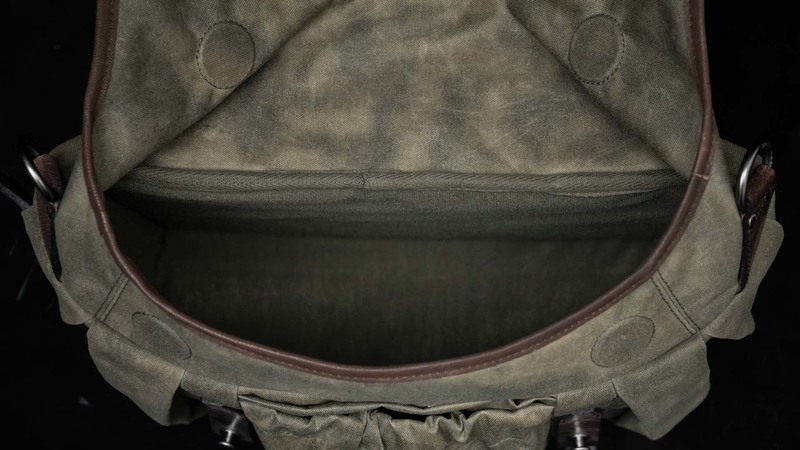 The side pocket space on the TROOPER bag is "angled", meaning that it extends around the corner, to the front of the bag. 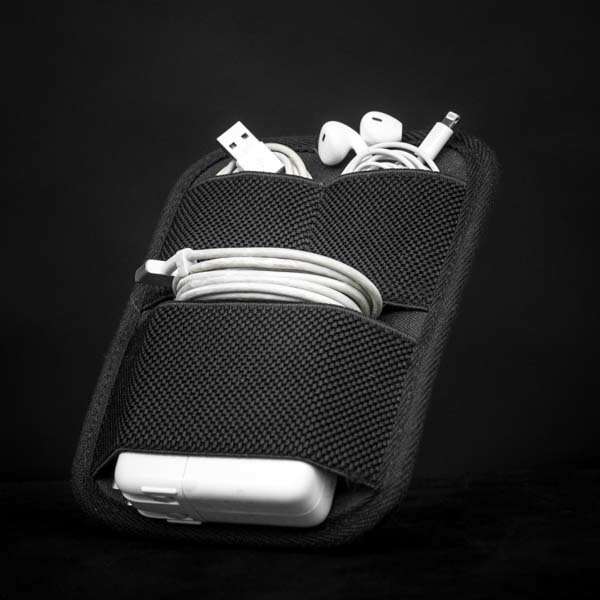 This is an ingenious idea by designer Albert to maximize pocket space, allowing you to stuff items "deeper" in the pocket. Even when you fill up the pockets, it will still look like the bag is being over-packed and protruded from the inside. 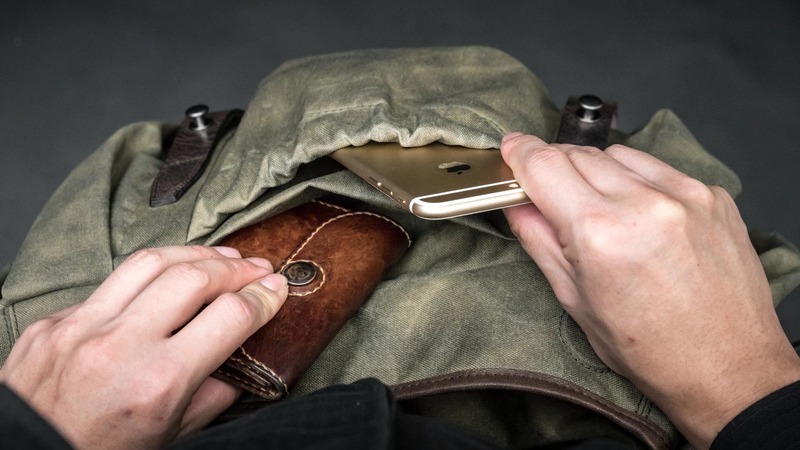 People might not even realize there are side pockets. Here's a true story from our trip across Europe. When Albert himself was passing baggage check at the Fiumicino airport in Rome, X-Ray picked up a bottled water that Albert forgot to take out. 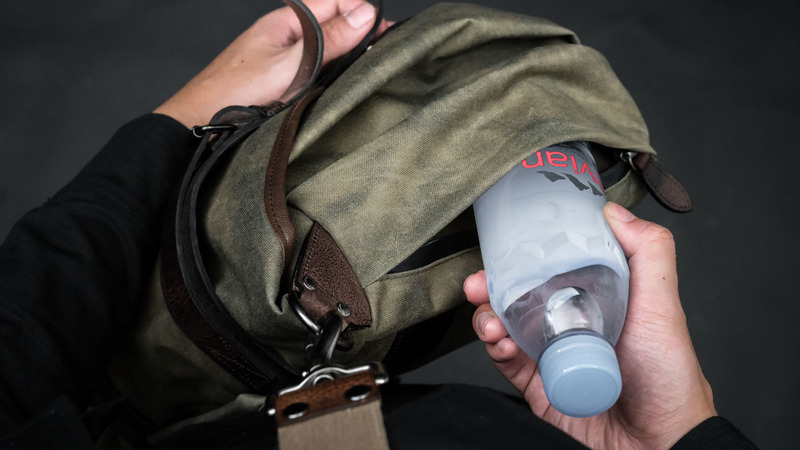 The inspector took over 3 minutes to examine the content of the bag, and grew more confused about where the bottle could possibly be hidden in, before Albert realized what was going on and took the bottle out from the side pocket (and apologized). Embarassing as the story may be, it's awesome knowing that WOTANCRAFT has created "invisible pockets". 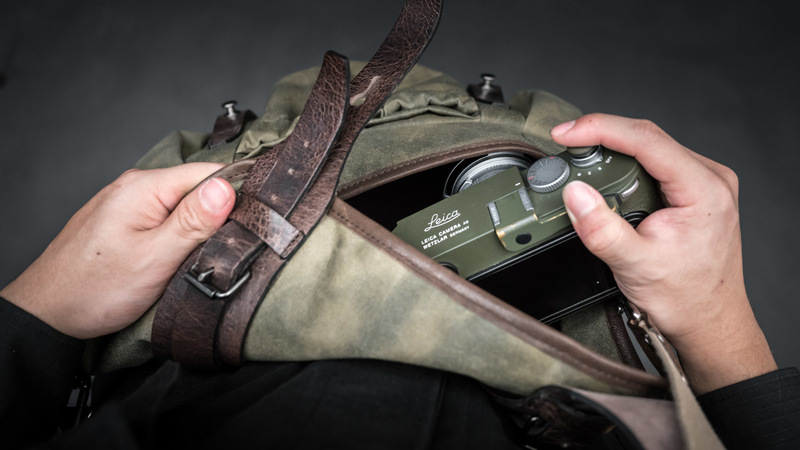 As Leica M users, WOTANCRAFT is always aware that "zipperless" bags are the preferred option, to avoid even the slightest possibility of gear scuffing. However, as bag makers, we never could ignore that most zipperless flap designs "don't close properly at the sides". We wanted to mix "roll-top" security and "zipperless" convenience. And now, Albert Yuan finally made it happen. 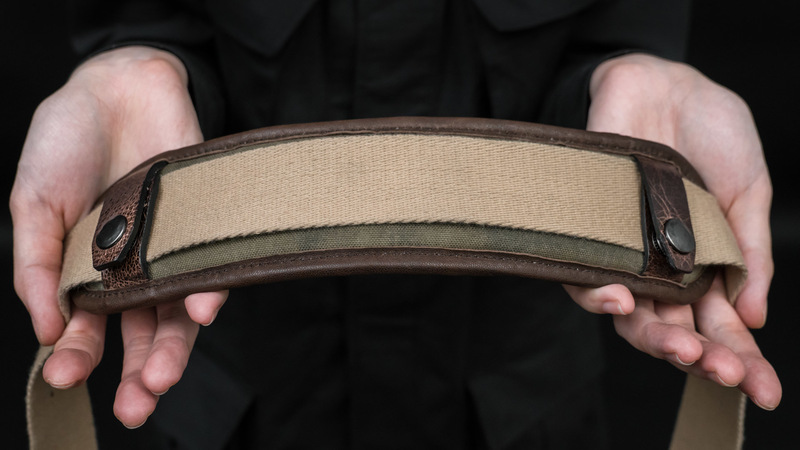 WOTANCRAFT's "Seashell Flap" reveals designer Albert's genius in cutting percision, a round opening that closes up neatly, no redundant folds and creases. 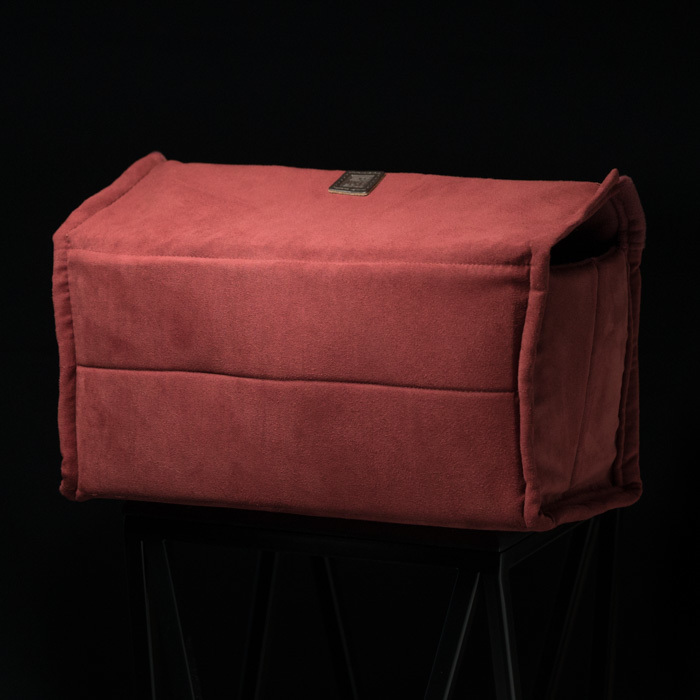 The curved, tapered flap wraps all the way to the left and right edges, so the sides are gap-free when flap is closed, just as you would expect from a "roll top" flap design. As the flap closes, a "threshold" lowers to cover up 1/3 of the bag opening, and the overlapping main flap secures the remaining 2/3. Remember, this is all done with "one single flap", and executed without complication. "Seashell Flap" has 2 sets of magnets embedded at the left and right edges, to better ensure a tight edge closure. The perfect alignment of flap cutting allows the magnets to close with straight forward "clicks". They don't miss. 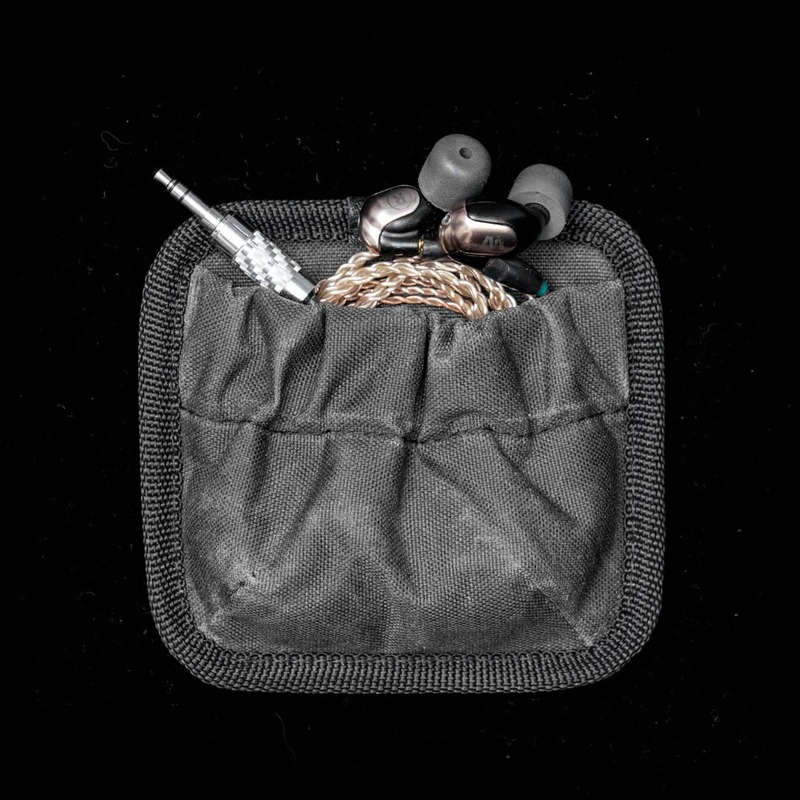 When you reach for your gear, the "Seashell Flap" opening is just as convenient as any other bag with zipperless opening. 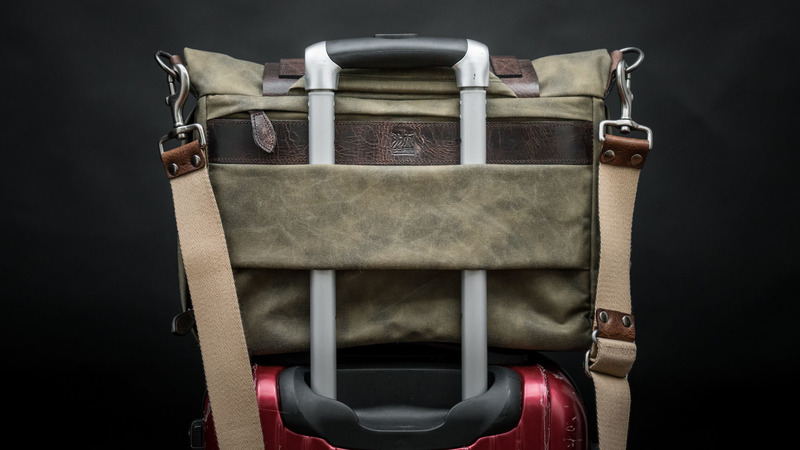 The luggage handle slot is hidden at the back of the bag, well integrated with the back plate in an unobtrusive way. The width accommodates luggage handles of all sizes. 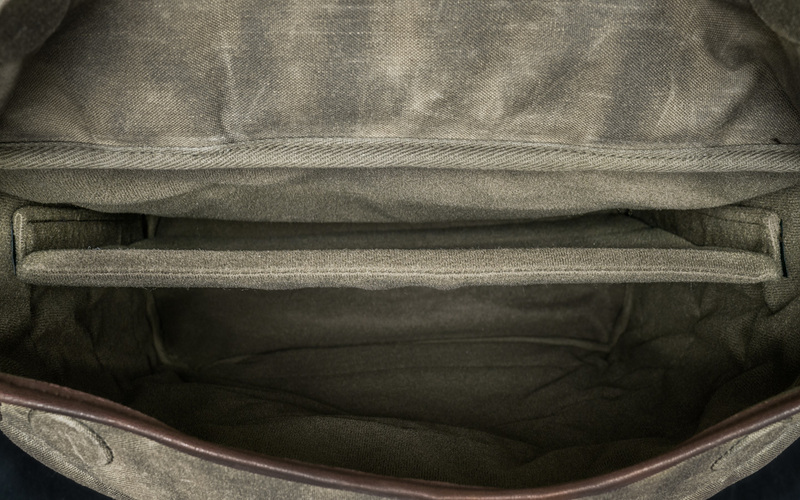 A wide piece of Velcro-lined underside helps to secure the empty space between and around the handle bars, so that when you drag your luggage around on bumpy roads, the bag will stick firmly with the luggage handle. A back pocket is useful to access your map, notebook, pen and printed itinerary, so that you don't have to open and close your bag all the time. 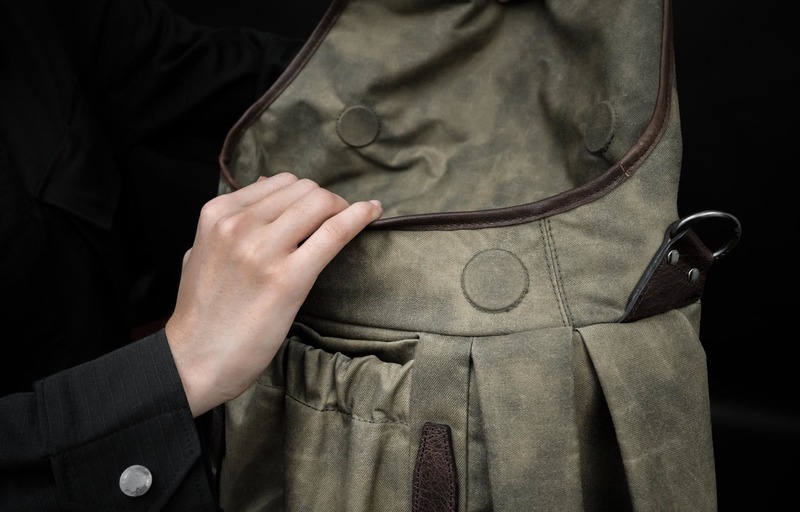 The double leather strap fasteners allows you to hang your jacket outside of the bag, having it readily available when temperature changes. 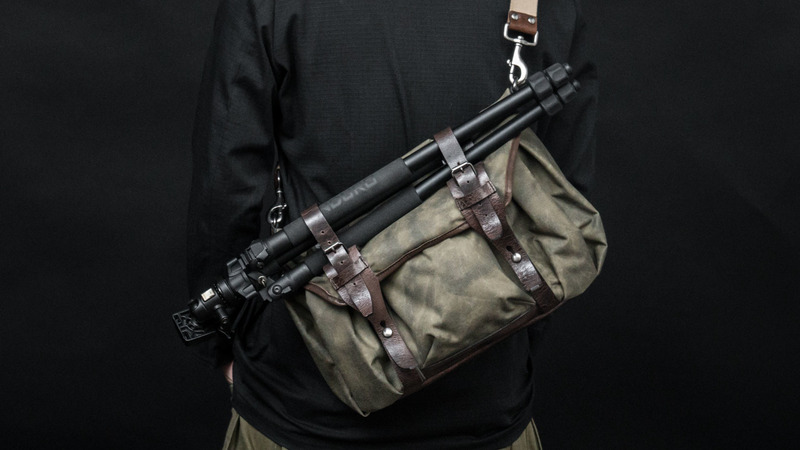 If you wish to bring a tripod, these fasteners will secure your gear firmly on the top of the bag. Every traveler knows that "shoulder comfort" is a key factor to a satisfactory journey. We use thick layer of "Latex foam" to create our ideal shoulder pad, which costs 6 times more than regular EVA foam, to recreate the pressure-alleviating sensation you may get from a memory foam Latex bed or pillow. 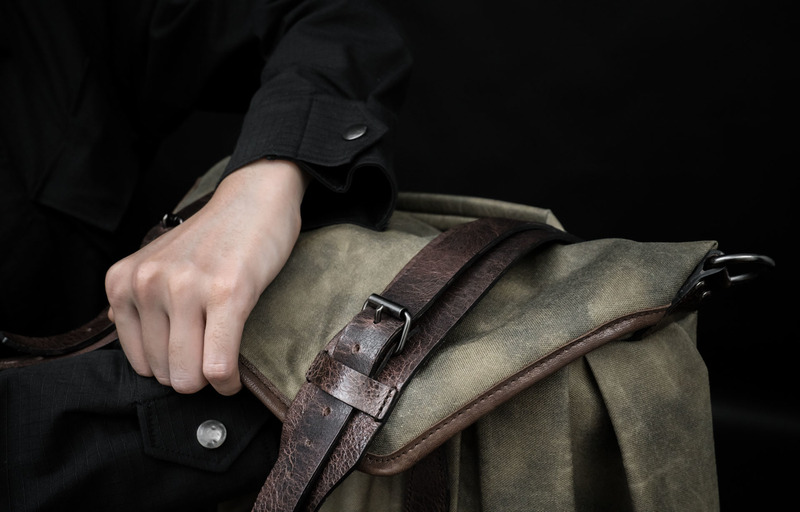 Another tip for using a shoulder bag with comfort: grab handle. 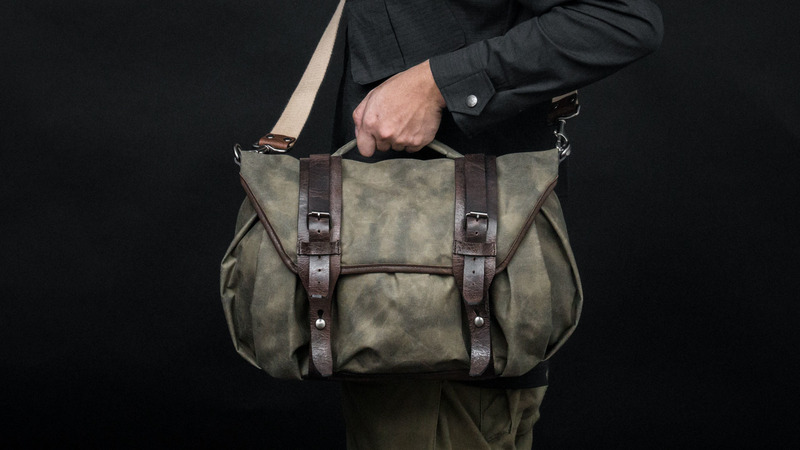 You don't always need to hand carry your shoulder bag, but sometimes you just need to lift your bag up for a few seconds, give your shoulder and chest a break from the burden of weight. 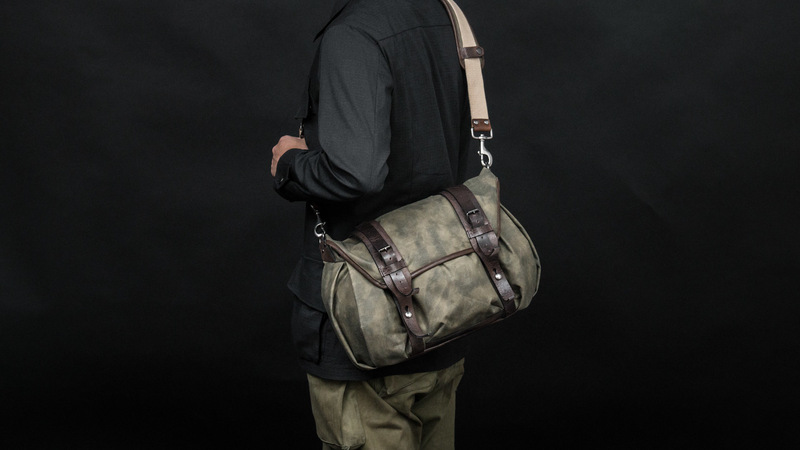 For experienced travelers, grab handle on a shoulder bag is not optional, it is essential. 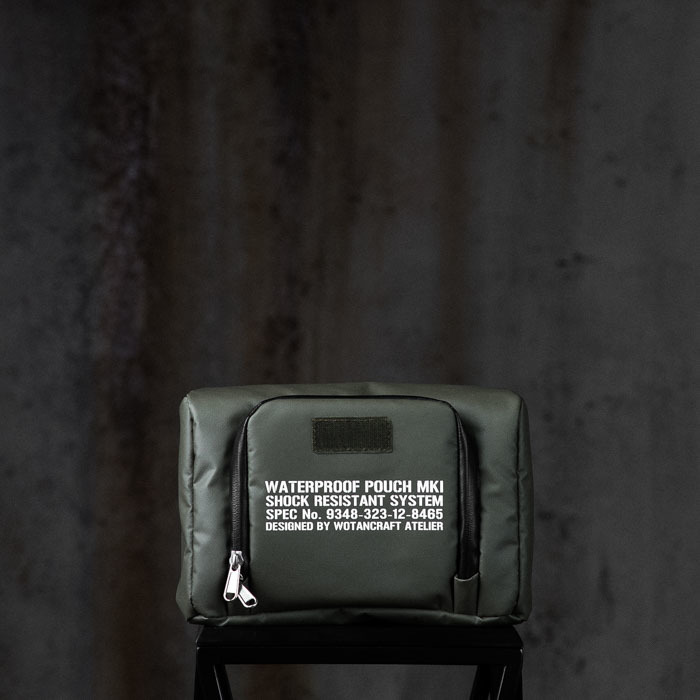 Imagine a piece of military grade Cordura ® fabric, without the synthetic glossiness and look more like cotton fabric, while capable of gradually developing water-washed fading effect. 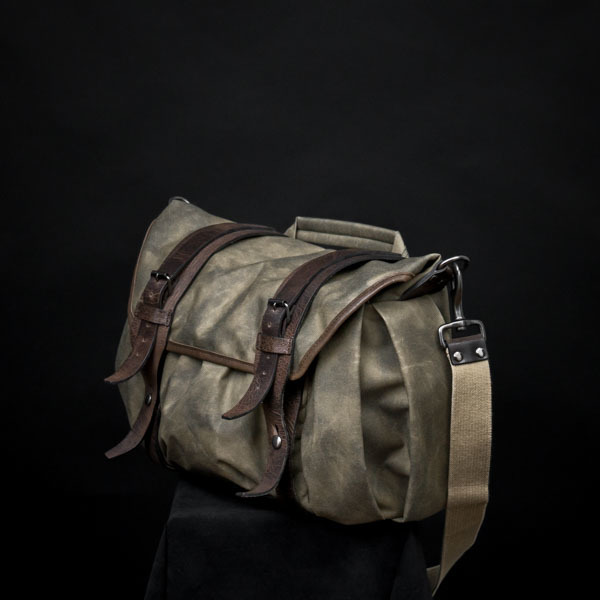 Unlike most Cordura ® based bags, WOTANCRAFT bag owners can enjoy the process of "bag aging". 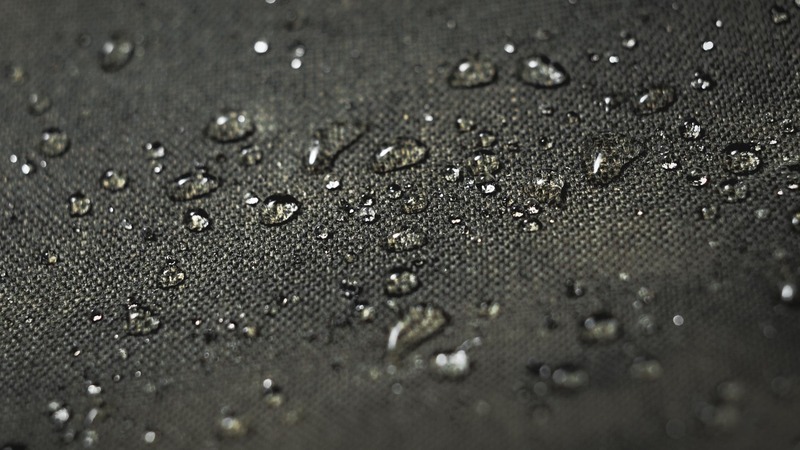 The underside of the fabric is laminated with highly cohesive PU (Polyurethane), which stops the water particles even when they seep through the Cordura ® fabric surface, so that they evaporate with time. 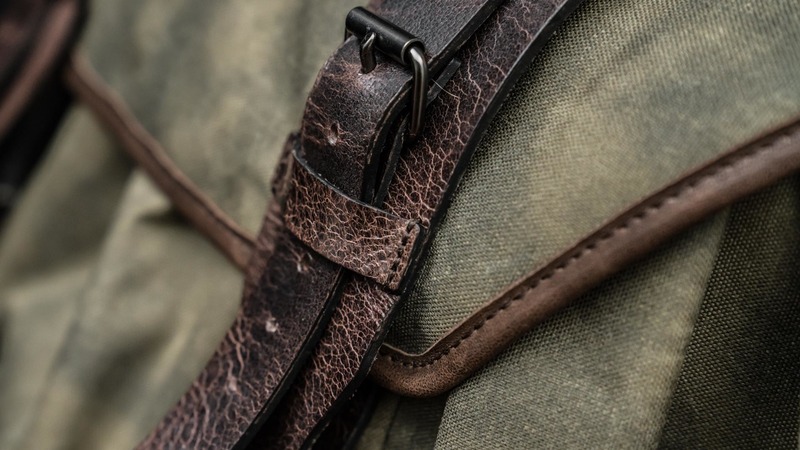 Even since its invention in WWII, Cordura ® has always been the NO.1 choice of military surplus manufacturers to create "abrasion-resistant" gear, and many of the US military surplus uses features of the Cordura ® fabric as the general standard. 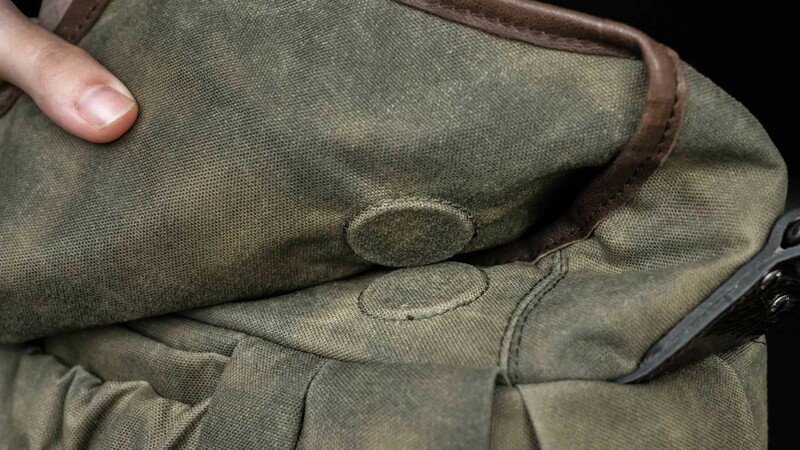 The Cordura ® 500D that WOTANCRAFT uses can sustain physical abrasion and scuffing from natural environments, as well as scratching from metal objects such as generic keys. 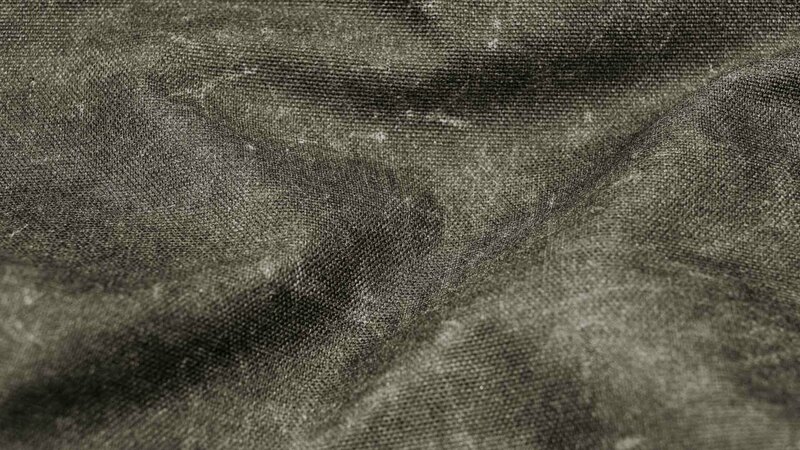 The Cordura ® 500D fabric we use is 50% lighter than the previous cotton waxed canvas, while providing way superior toughness and durability. 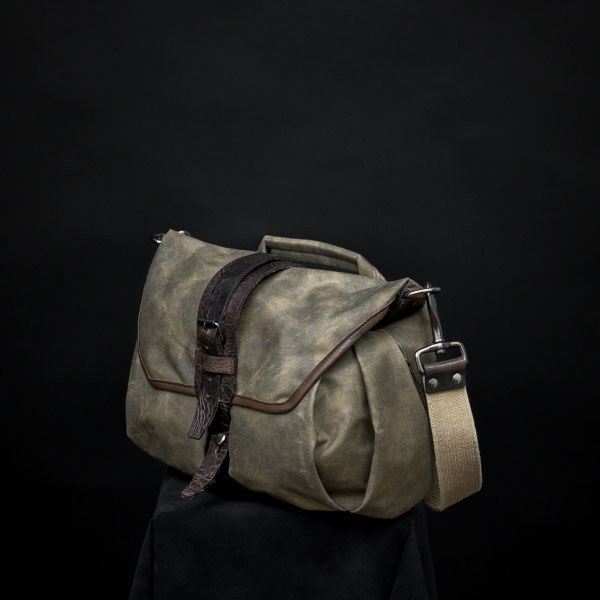 We use the iconic WOTANCRAFT battle-distressed cowhide leather as accent for this bag. 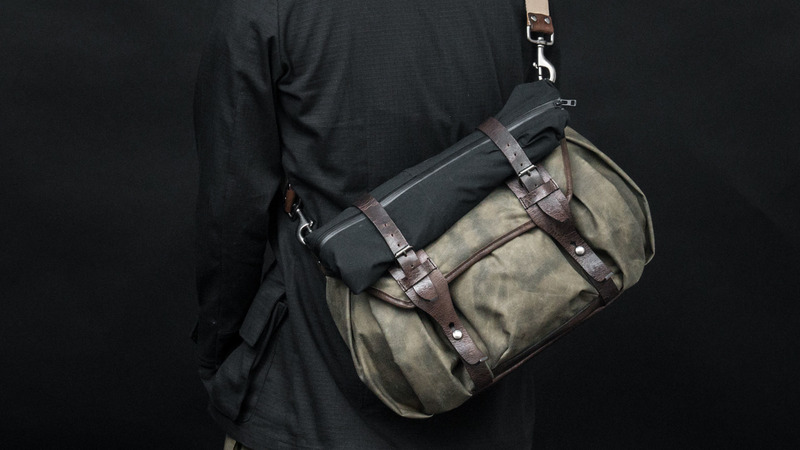 Coupled with the tear-resistant Cordura ® 500D, we make all our bags into workhorse bags, welcoming the challenge of various usage scenarios. 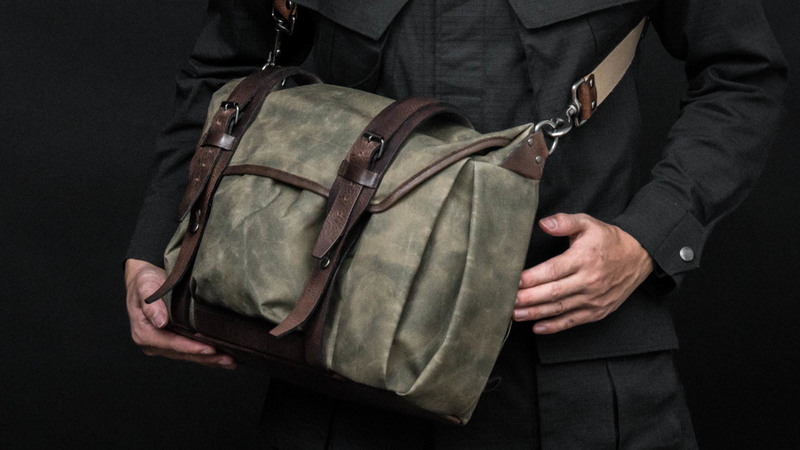 Compare a TROOPER to other bags out there, you will notice that it has a sophisticated "balance": the TROOPER looks low-key, unobtrusive... and yet, it stands out to you unlike any other. It has everything you need, possibly more with upcoming expansion of the "Interior Module" system, and it definitely gets better with age.